Please note: This item is SOLD. Reference: A & N Harding Book 2, Page 249, Fig 2956 but the mirror image and smaller. 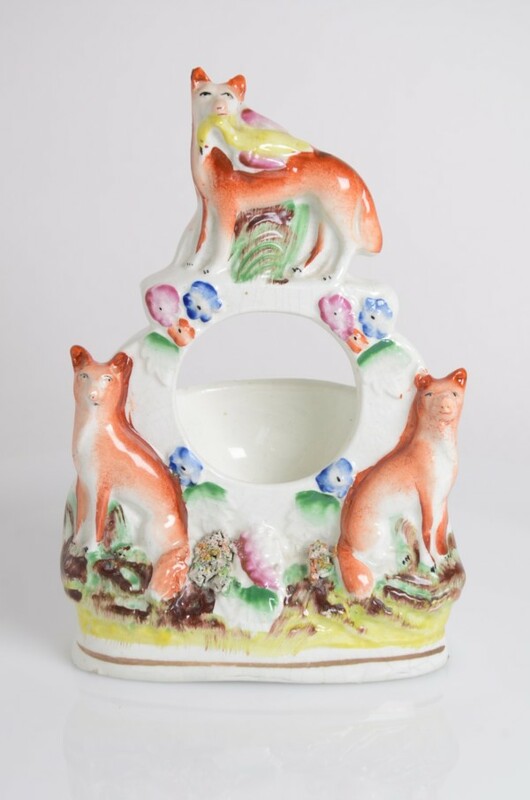 A rare small size fox group of three foxes, two seated on the base facing left and right and one standing above with a bird in its mouth. 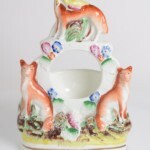 This group has been made as a watch holder and is in mint condition.